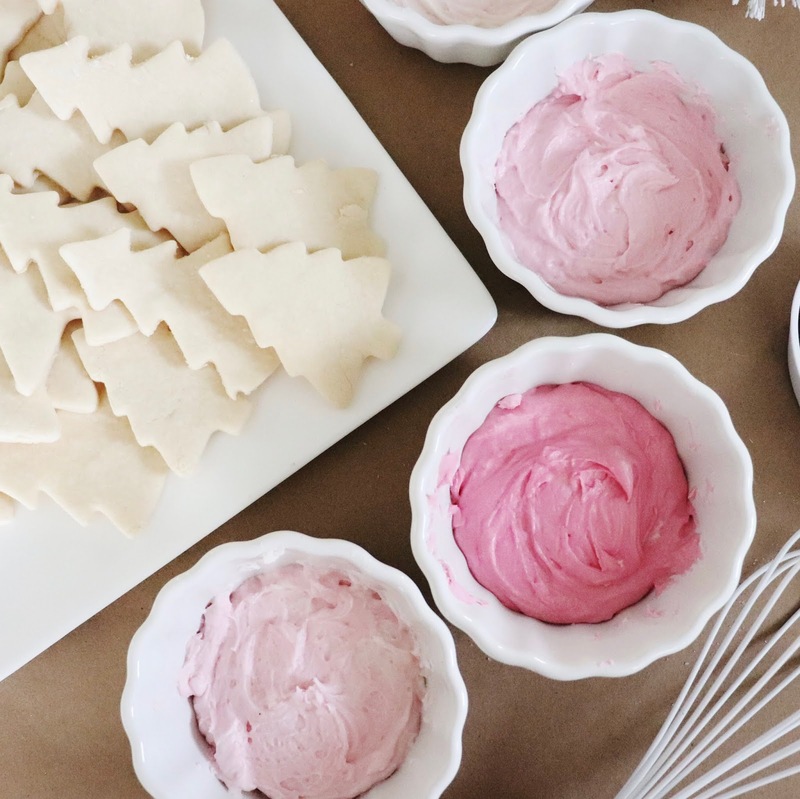 Our regular sugar cookie recipe this year was brought to the next level by turning them into, “sugar plum fairy cookies!” Which basically means Abby and I colored 4 different shades of pink our butter cream frosting recipe (listed below) and decorated them in everything and anything pink!! The Nutcracker ballet has been long standing tradition in my heart both on and off the stage. So even though a true sugar plum is purple, I will always think of the sugar plum “fairy” being pink. As this was always the color of her costumes for me growing up in a dance studio which I now teach in! Mix in large bowl; butter, cream cheese, sugar and egg. Leave the flour aside, and add in rest of ingredients mixing all together. Add in flour and mix all together. Roll dough out onto heavy flour surface. 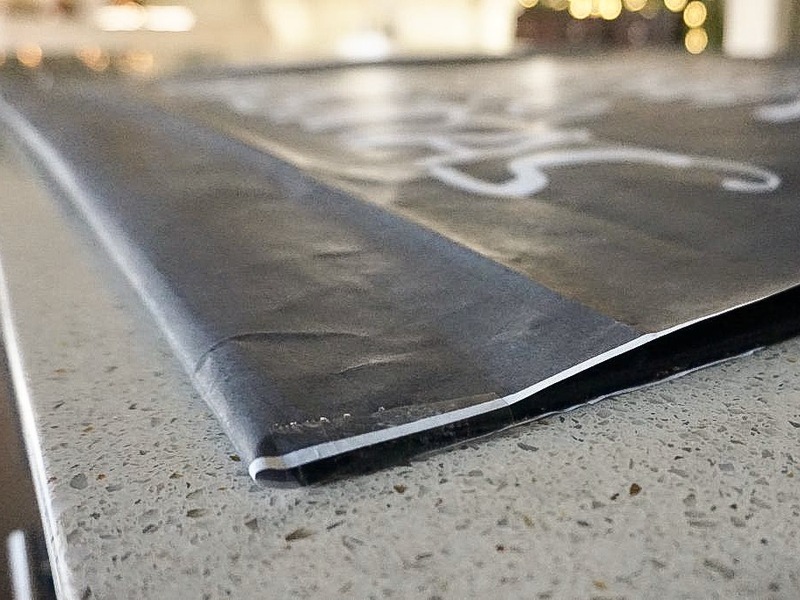 Cut out cookies and lay on top of parchment paper. Bake for 8 mins. Then let place on cooling racks. 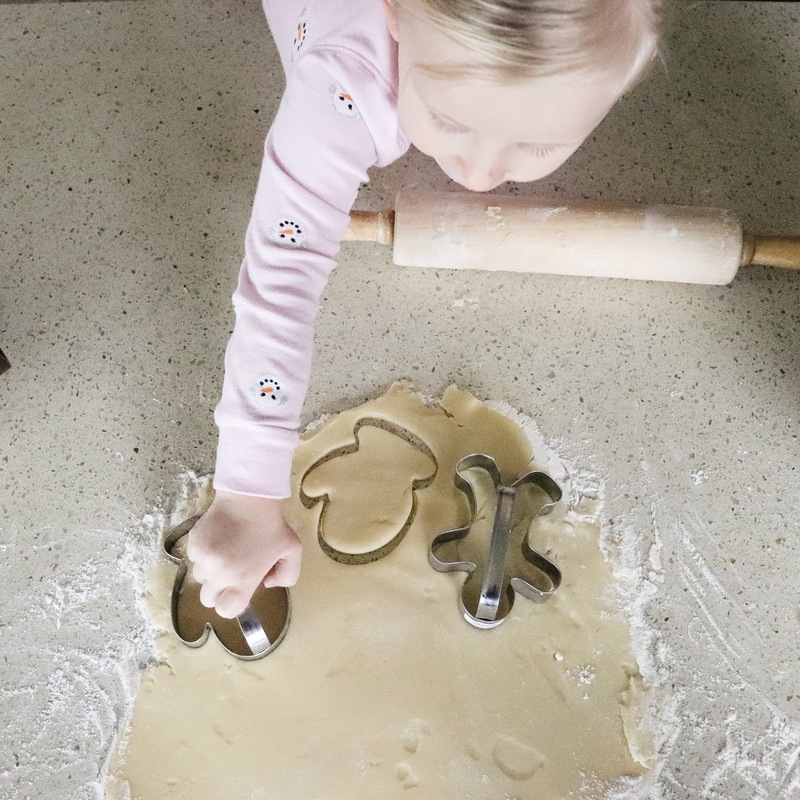 In a medium sized bowl mix together all ingredients with a kitchen aid, mixer or whisk until completely smooth. 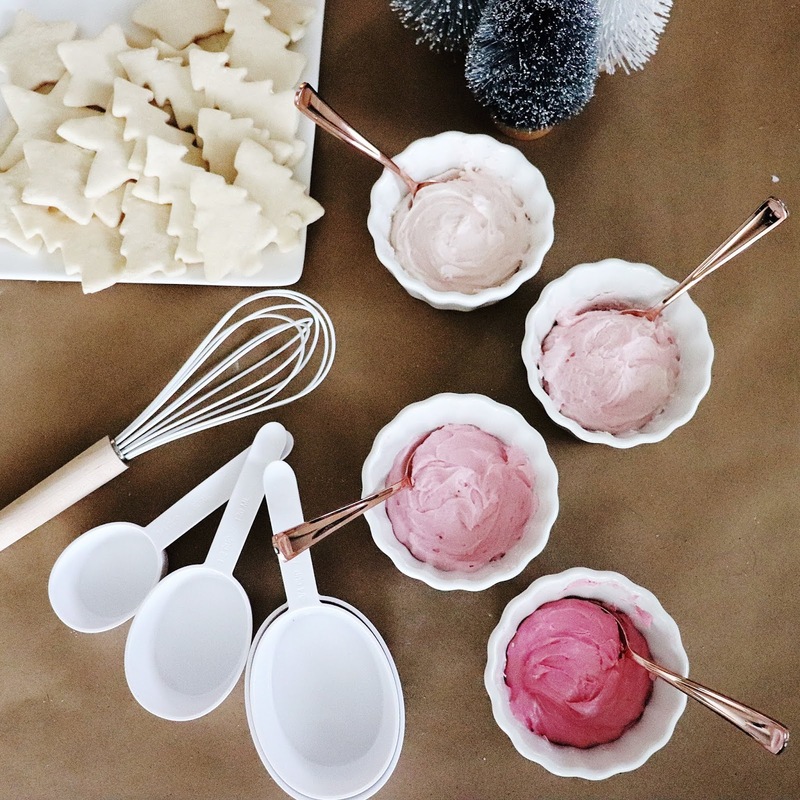 Using 4 small bowls, divide frosting mix equally into each bowl. Start with 3 drops of pink all natural food coloring in the first bowl and continue to add 3-5 more drops than the previous so each bowl is a shade darker than the last. 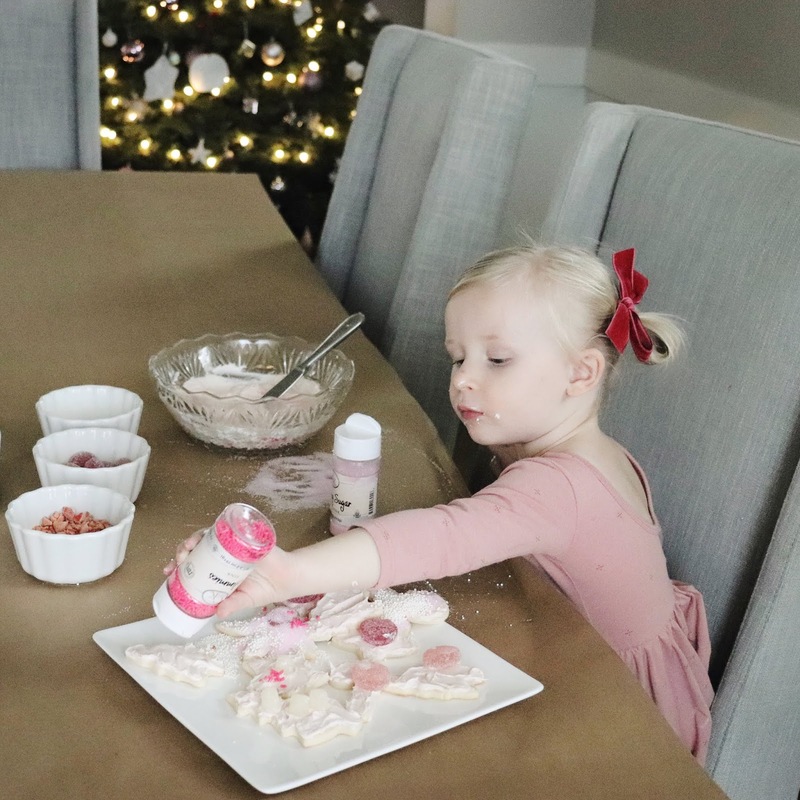 To turn your pink frosted cookies into, "sugar plum fairy cookies" add all the pink, silver and white sprinkles, gum drops and candy you can find! 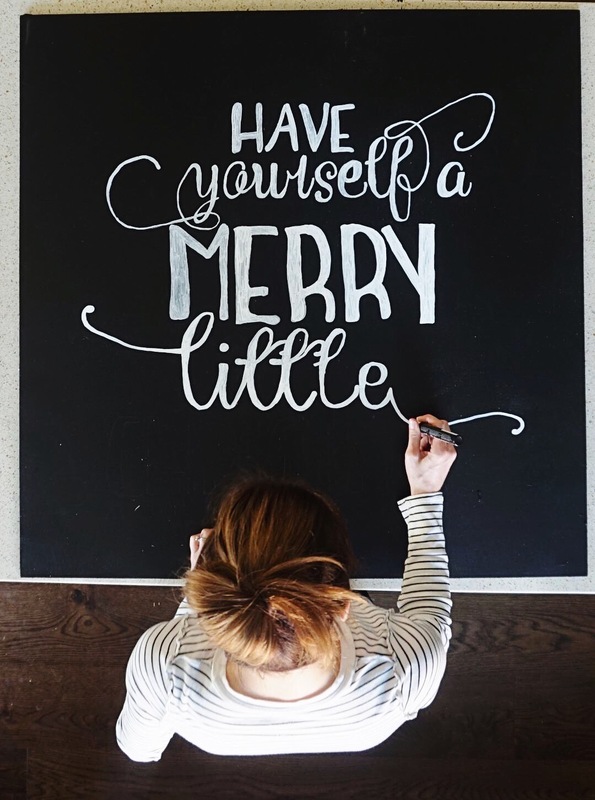 We wish you a very merry + bright Christmas! And may this recipe help add to your holiday!! 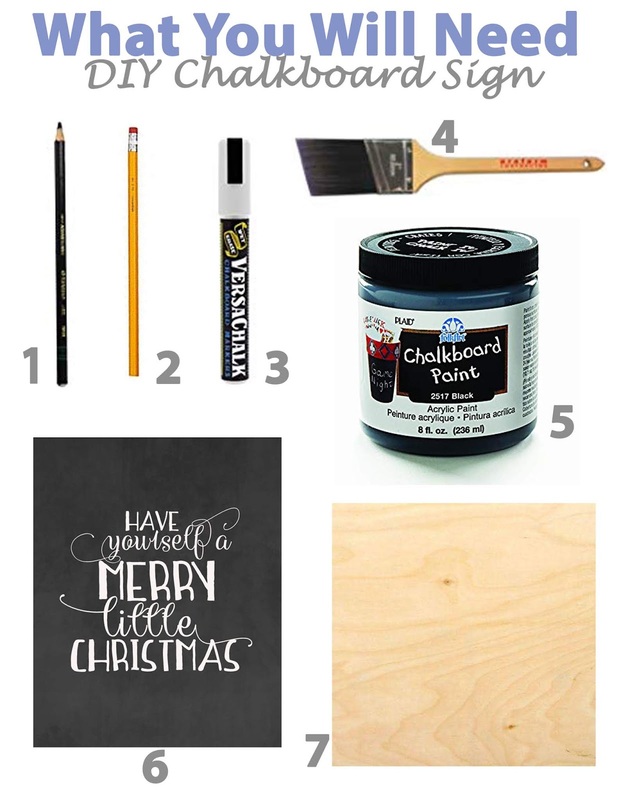 For the first time ever, I purchased ALL my stocking stuffer items online! Including these pink cherry flavored candy canes. I LOVE online shopping so, I decided to start changing how I spent my week before Christmas. 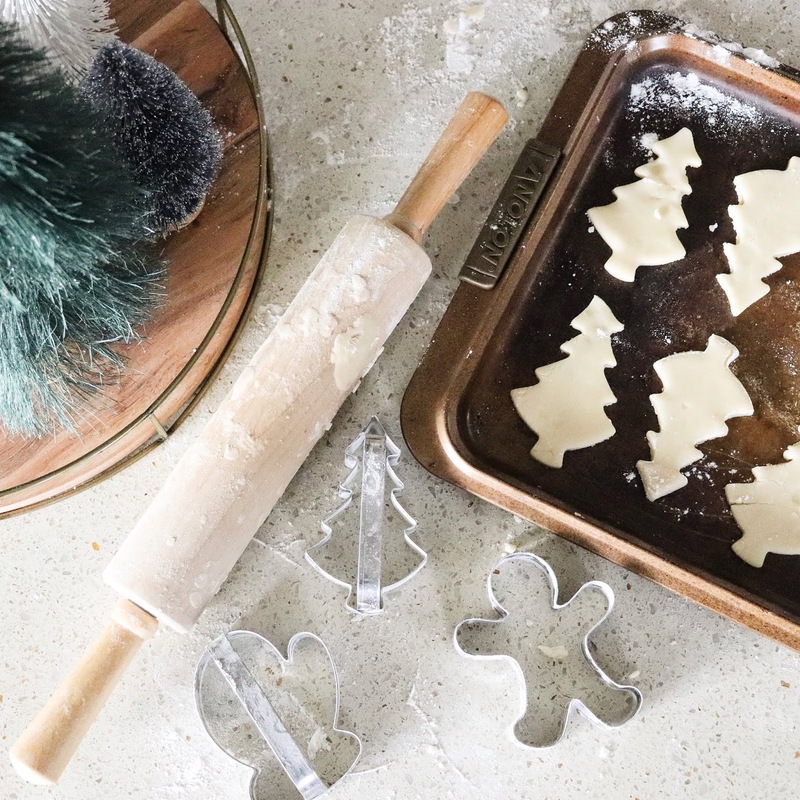 Usually you’d find me gathering items up and down the isles of Target (which I love it there) though starting this year, I wanted to focus on what I love the most about this week… baking! 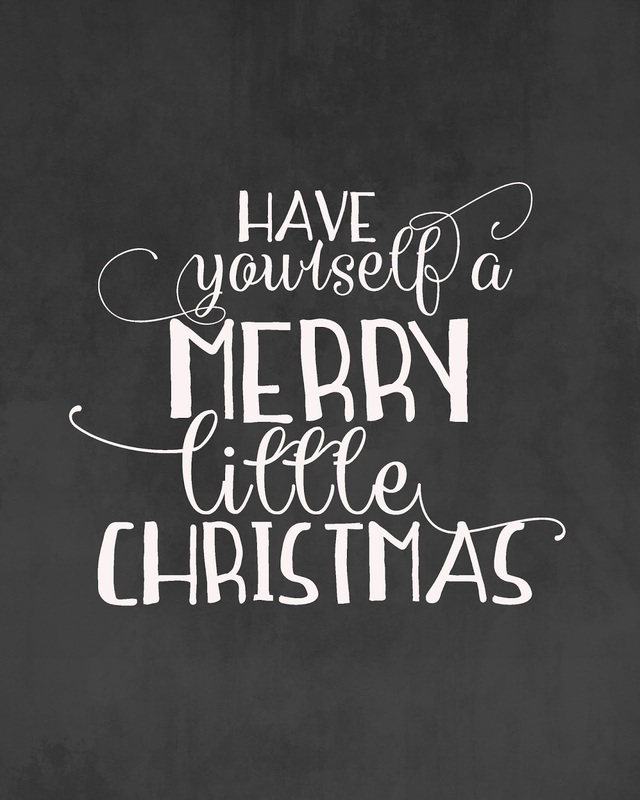 And since Christmas is officially a week away (Ekk!) 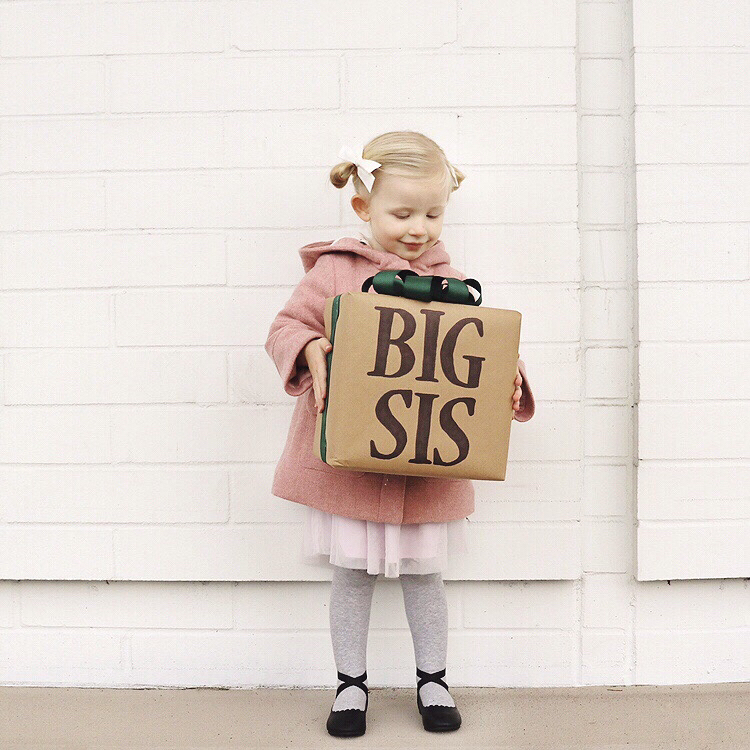 I decided to use every mom’s best friend, Amazon in creating a last-minute Toddler Girl Stocking Stuffer guide. For under $13 I got Abby these pink and white striped jammies and a pair of darling reindeer slippers to go with it! I swear she could live in those jammies and slippers all week if I let her however, we love our bath time, specially bubble bath! So naturally this bubble bath is making its way into her stocking. Also, this pom-pom hat Abby has been wearing all season long which is even cuter in person, I swear! So I had to add it! When we go out to eat, these magnetic stacking blocks are a favorite pass time of Abby’s and it’s so fun to see her create towers and structures. (While at the same time teaching her about patience and persistence.) We are headed on a snow vacation next month so I found these organic snow mittens which I really love because they are attached! No lost mittens in the snow!! Amen. 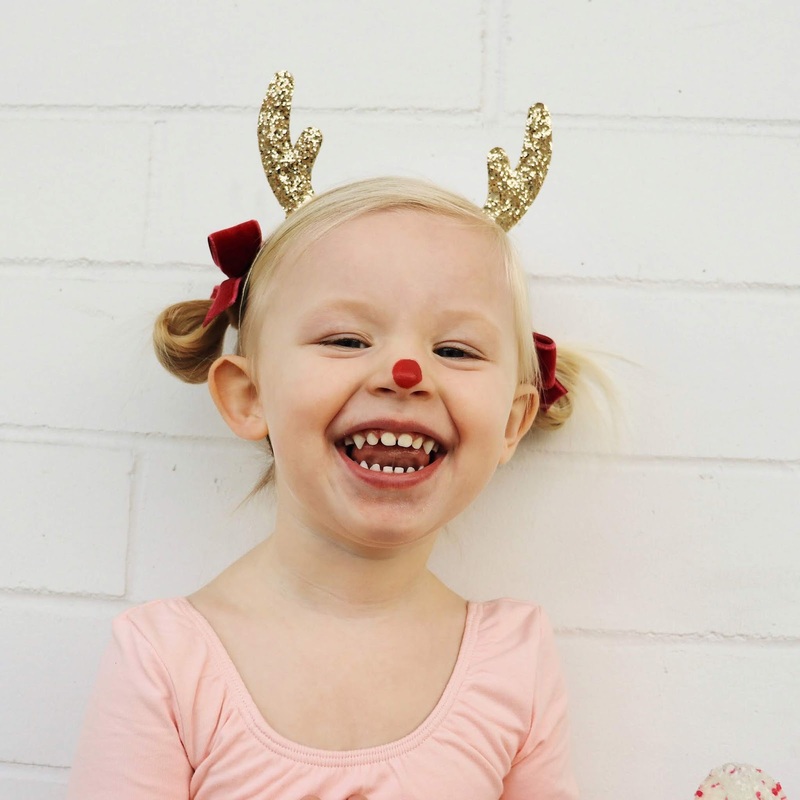 I hope this Toddler Girl Gift Guide helps you with your last minute shopping! And check back soon, I have another blog post coming later this week!!! Nausea ruled my world for about 3 months. Far worse this time around than with my first! I needed a glass of juice AND crackers to help me fall asleep almost every night. And a good handful of nights, I couldn’t even stay asleep. Nausea was a 24-hour thing this round. Some nights I would wake up at 3am or 4am feeling so sick, I just wouldn’t be able to fall back asleep. Orange juice & crackers at night. Especially right before bedtime. A little snack seemed to help keep my blood sugar up and my belly somewhat full just enough, so I could fall asleep. I also diffused peppermint essential oils about an hour before I turned in for the night with this diffuser Steve gifted me for my birthday. During the day, I would roll this peppermint roll balm underneath my nose and above my lip to help ease nausea. My body changed much sooner this time around, specifically my belly! I was actually very sad and terrified to feel myself “let go” so soon. 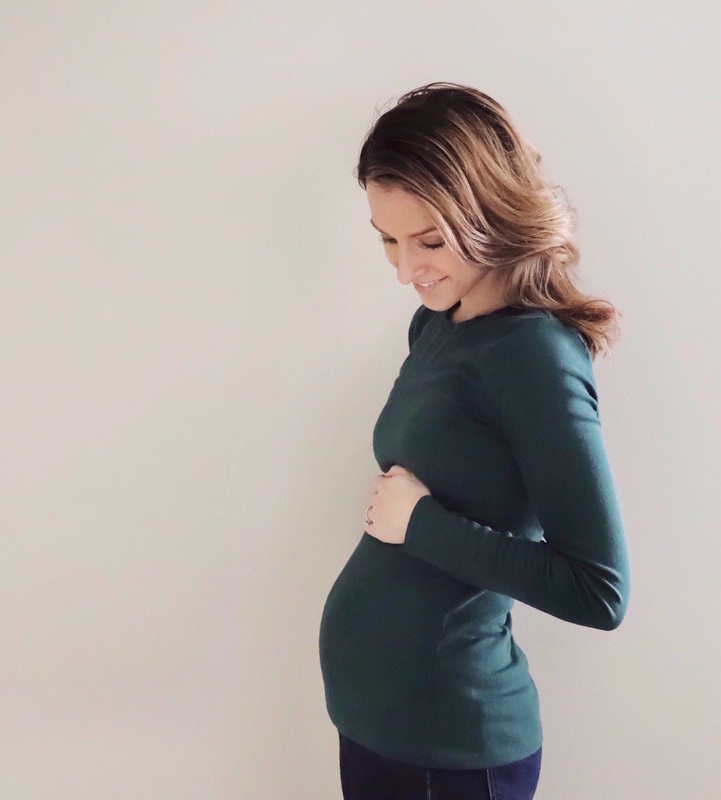 I started comparing my body to my last pregnancy. This did not help at all! As I was already so emotional about having to eat at night, I knew my fear was happening. I was going to gain a few pounds before the second trimester even surfaced. Which I truly believe, because I had to take care of myself, in order to take care of this baby inside of me, and Abby. Both would be counting on me every morning! Those two, outweighed wanting to wear my every day jeans until 14 weeks like I was able to do with my first pregnancy. Talking to someone I trusted so all those tears and concerns could come out. Then I put on my leggings and maternity pants and didn’t look back! It was all part of the process and yes, like most of us (and me!) feeling those changes waaayyyy sooner can be shocking! It’s all good, especially after your first pregnancy. It happens to a lot of us. This was almost the exact same as my first pregnancy and one I knew was coming. What I didn’t know was coming is that it can be SO challenging to feel sick and tired while taking care of a toddler weeks on end. I have no idea how you moms of 3 and 4+ do it! High five to you and your strength!! Let myself sleep in a bit later. Which meant I was no longer getting up 5am and checking things off my list by 6am. I was now getting up at 6am. I still managed to keep up with Abby, teaching and the blog though I didn’t have the laundry folded. Like… hardly ever. Even a few minutes of sitting down really helped!! You are not alone in this miracle happening inside of you! You are strong, and you are beautiful. It's my hope that your head and heart don't let your jeans size determine how wonderful of a mother you already are to your little one, and or one(s). 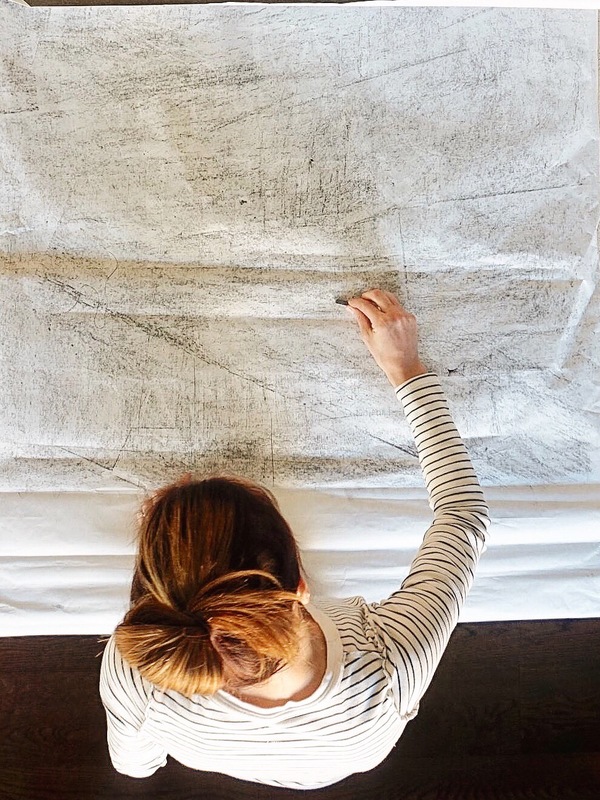 Pregnancy can be beautiful, challenging, scary, and fun all at once. With all of this comes changes and emotions and I have found, the best thing during pregnancy is to find your tribe. Find other mothers, pregnant or not! Online or in person and reach out to them! If there’s anyone that can and wants to hear what you’re going through, it’s them! 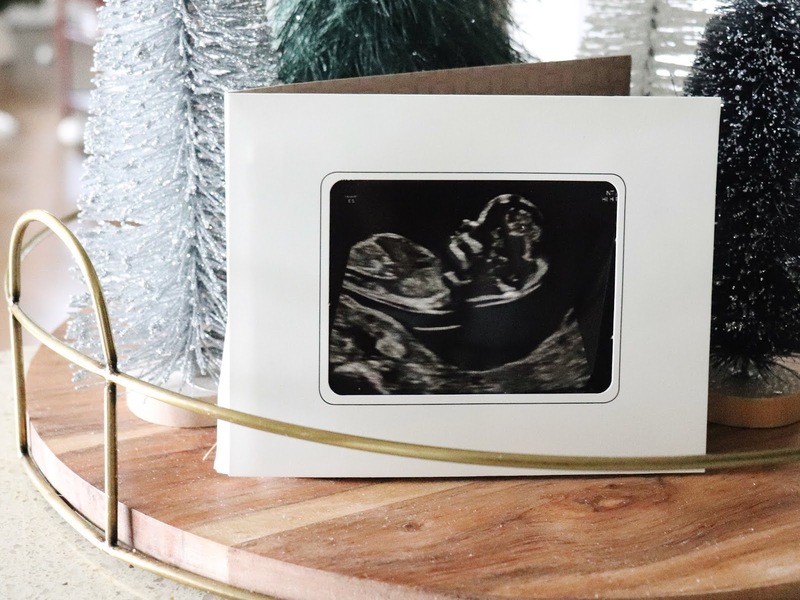 I hope this personal blog post has helped some of you who are about to go through the first trimester and or will go through it for the second time! 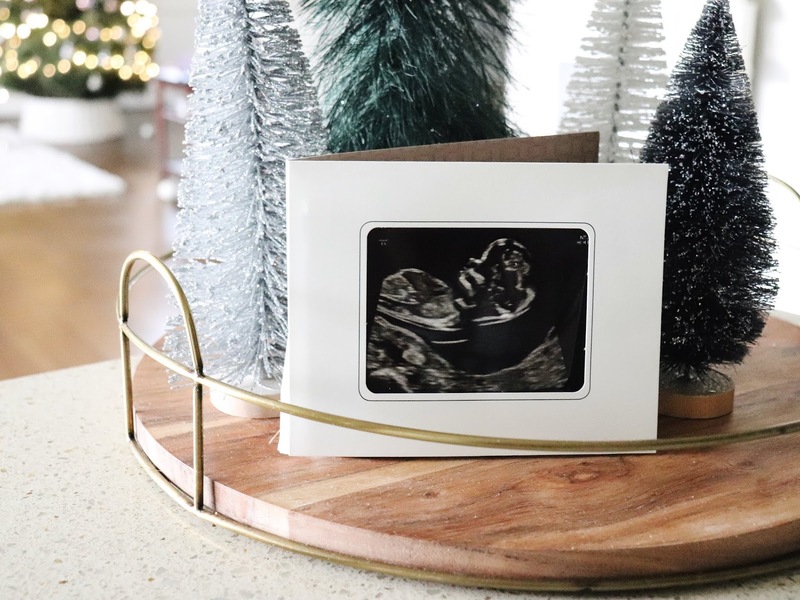 If you want to see and hear more of this journey, you can find me on Instagram and or subscribe on the side bar to hear when the next pregnancy blog post goes live! We would get honked at and called, “the cutest” at least a dozen times during those years. 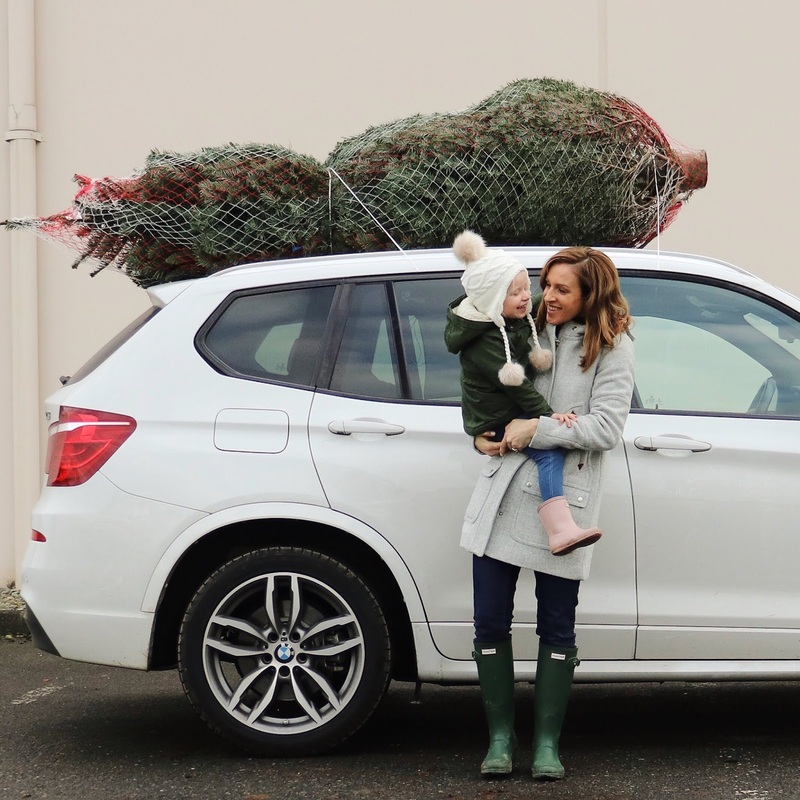 For us, it was way easier than hauling our tree on top of the car. If you’ve never ventured to try the Christmas tree farm experience, I highly recommend it! The smell, and bundling up in winter wear all while supporting a local farm are just a few of the highlights. Some farms like ours, had AMAZING food! So, we stayed awhile to ride the kiddie train and eat lunch. 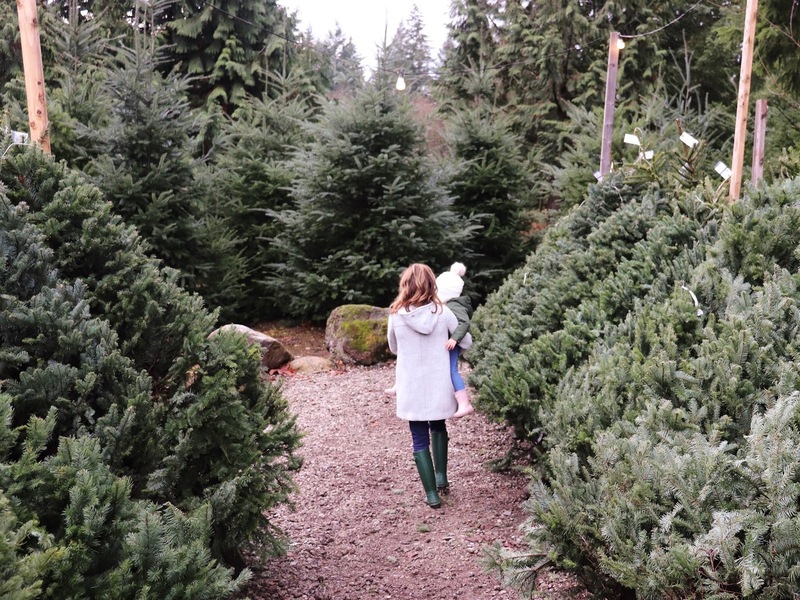 Plus, I think my favorite thing about the tree farm is having the opportunity to take sooooo mannnyyyy beautiful photos of your little one among the pine trees. So here a few of my favorite photos from last weekend along with a list of my favorite classic Christmas songs. 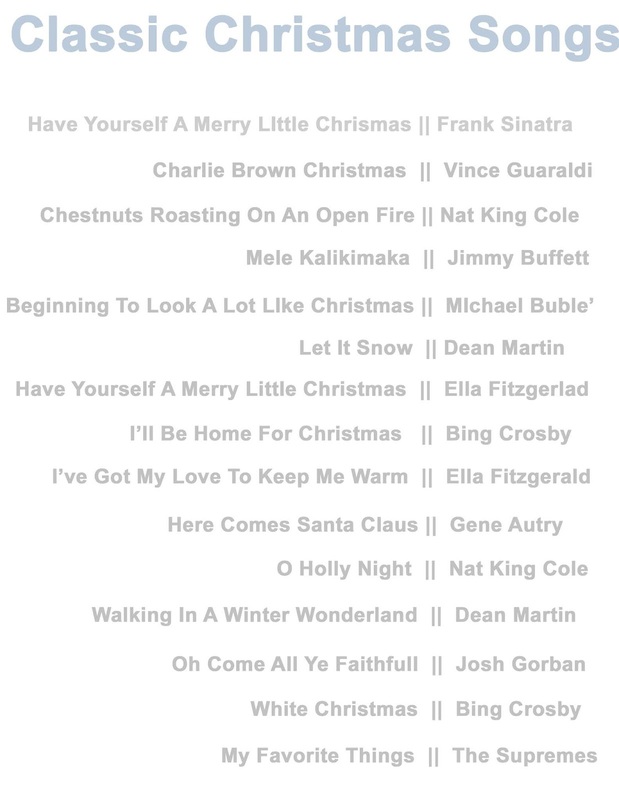 You can never go wrong with Frank Sinatra or Ella Fitzgerald to fill up a space with holiday spirit. I'm SO excited to share and take joy in the season with you! 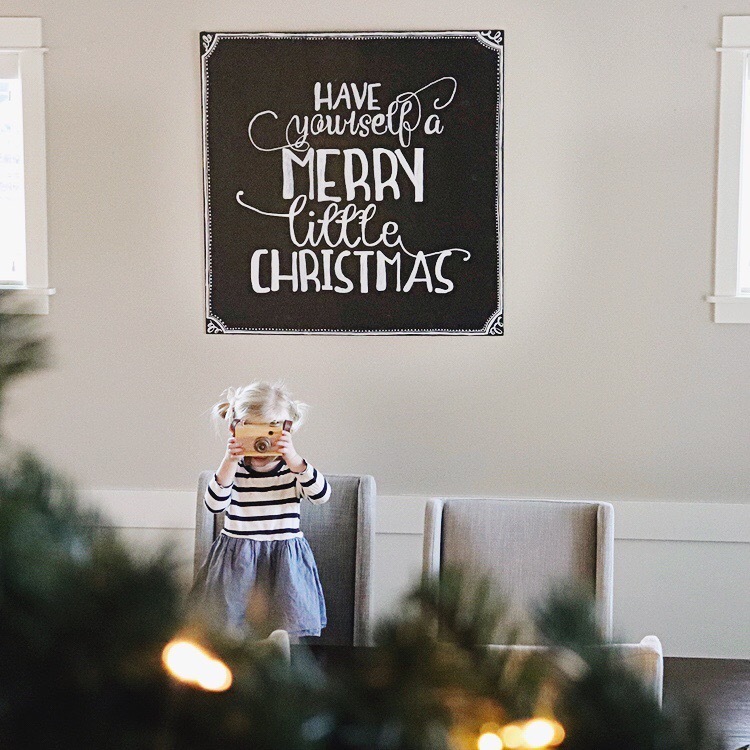 Stay tuned, lots of fun things happening for the blog and over in instagram soon to help make these days leading up to Christmas merry + bright!! !